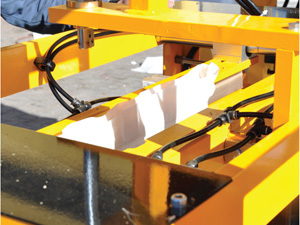 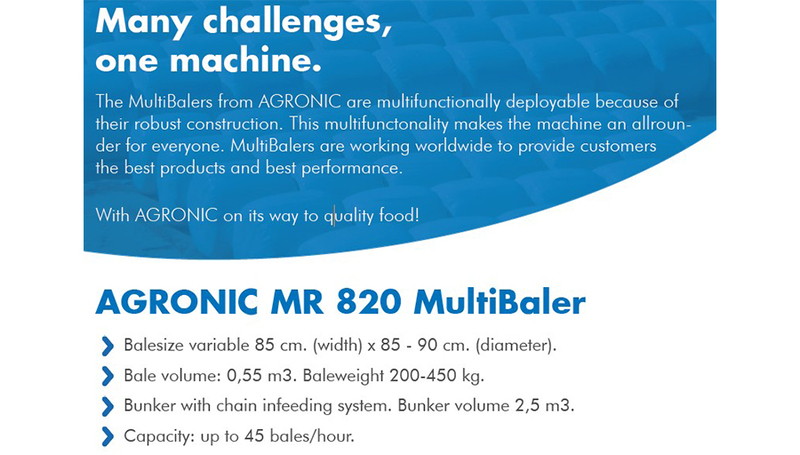 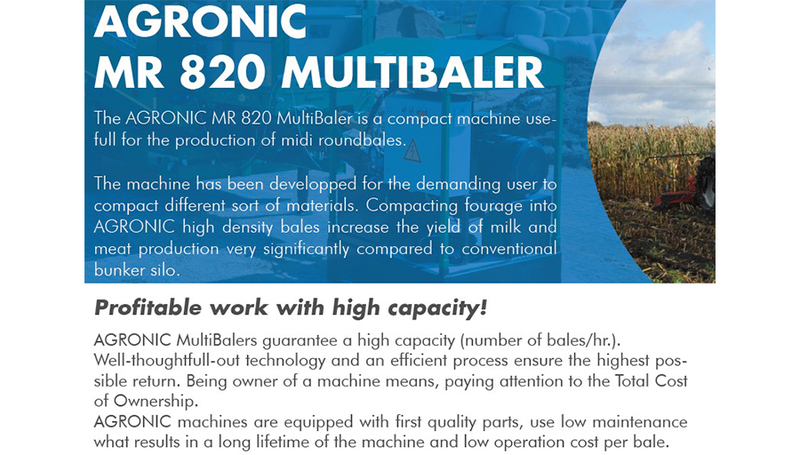 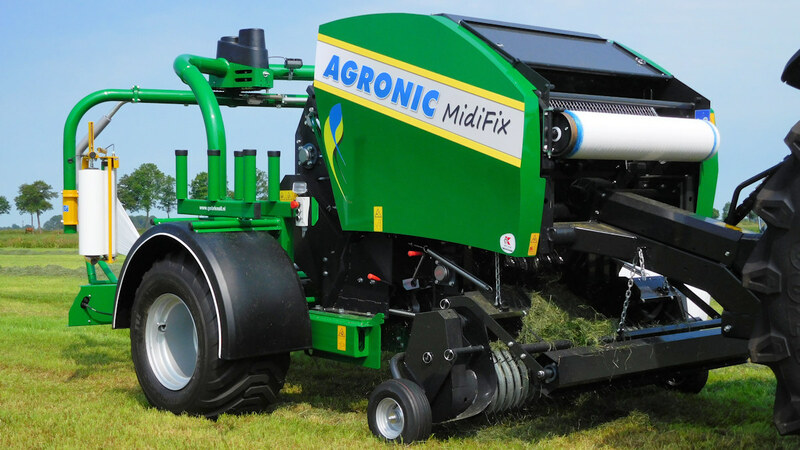 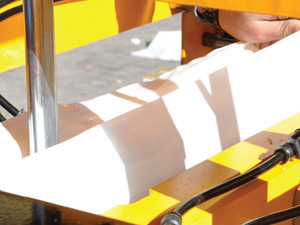 The AGRONIC MidiVario II and MidFix are the baler wrapper combinations for midibales. 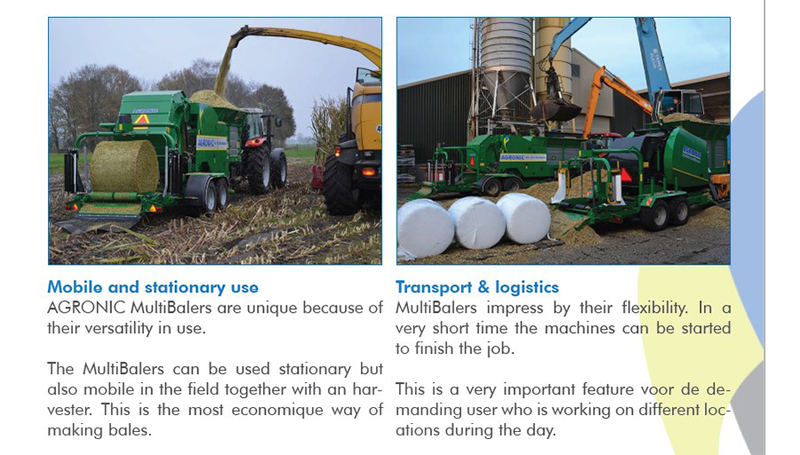 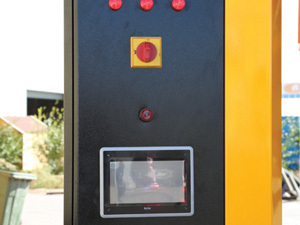 Midibales are the perfect solution for (small) farmers and horse-owners. 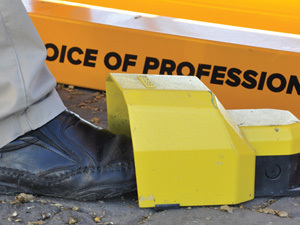 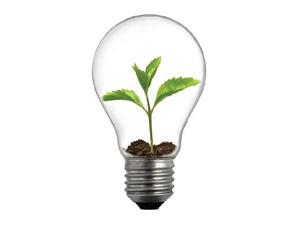 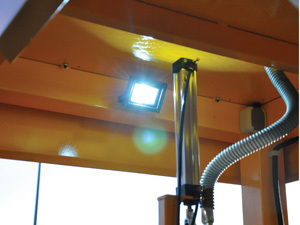 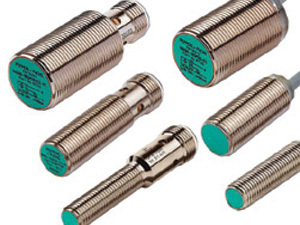 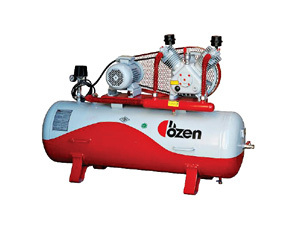 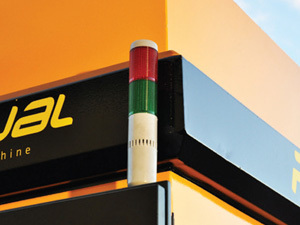 Because of its dimensions and weight is it very suitable for small areas or hilly terrain. 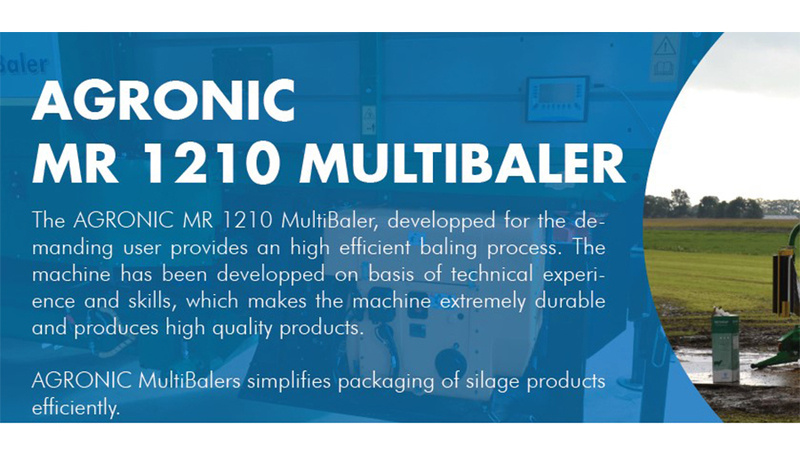 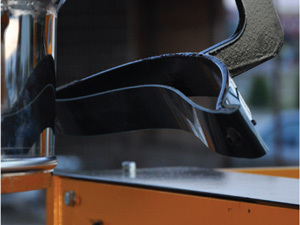 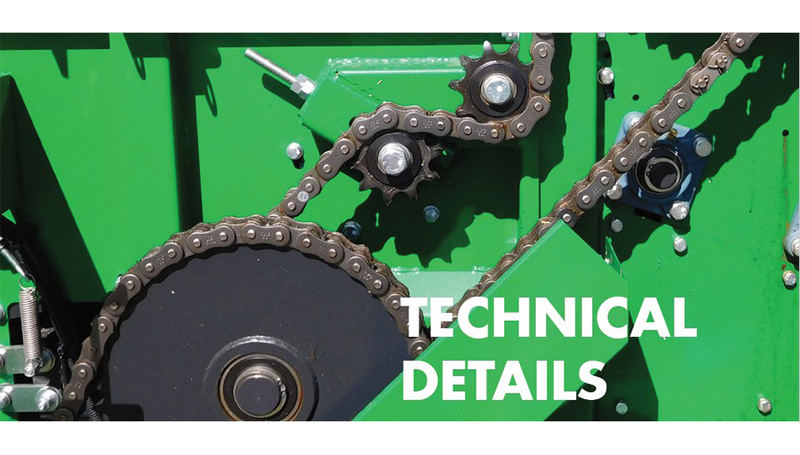 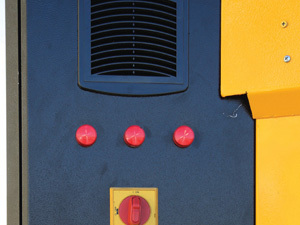 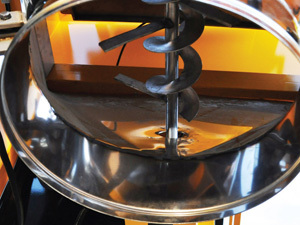 The MidiVario II has a variable bale chamber with adjustable densities. 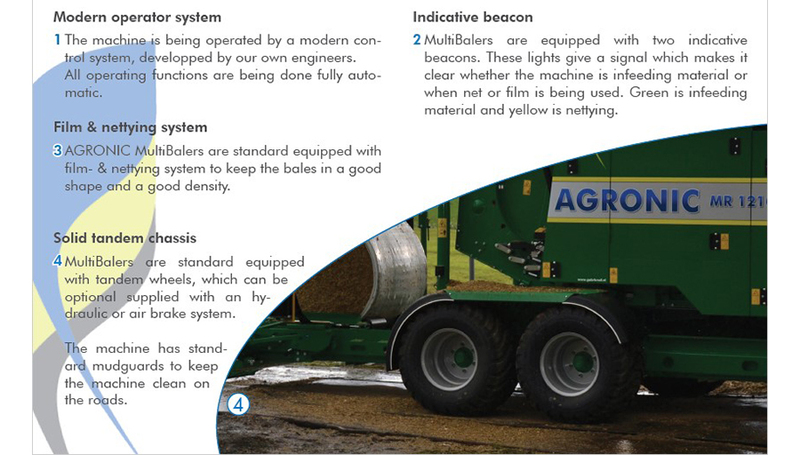 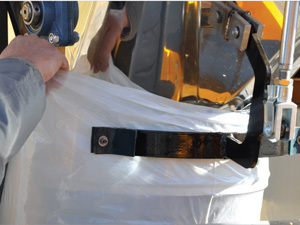 Bale weight depends on diameter (85-90-100cm.) 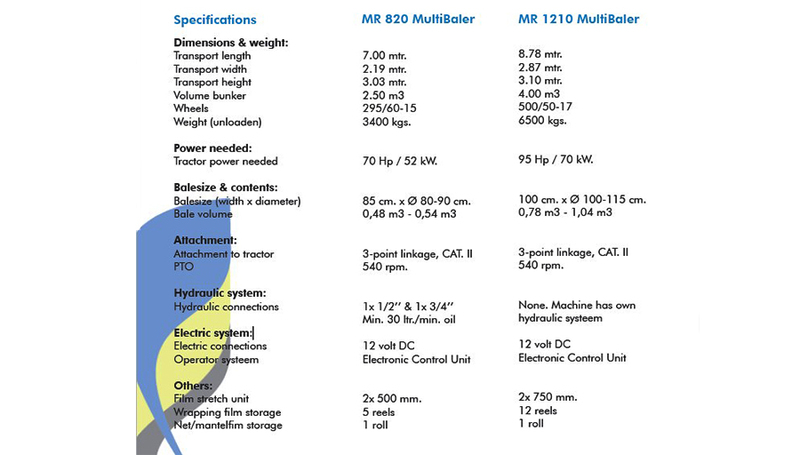 and material, varying 100-200 kgs, 520- 670 ltr. 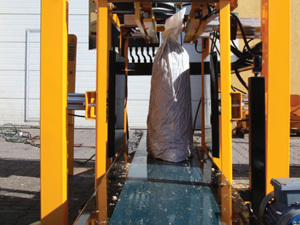 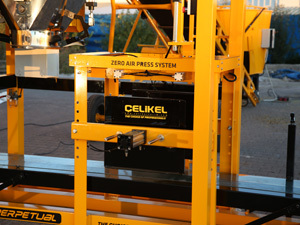 The MidiFix producing bales of 85 cm. 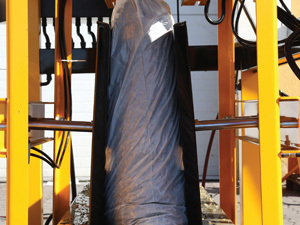 width and diameter of 90 cm, 550 ltr. 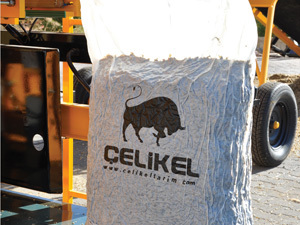 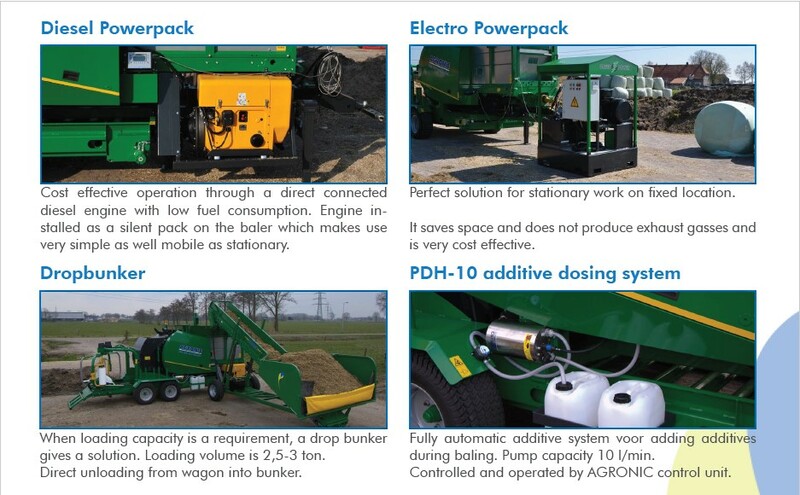 Cattlekit Baler and Wrapper is perfect solution for small silage bale making. 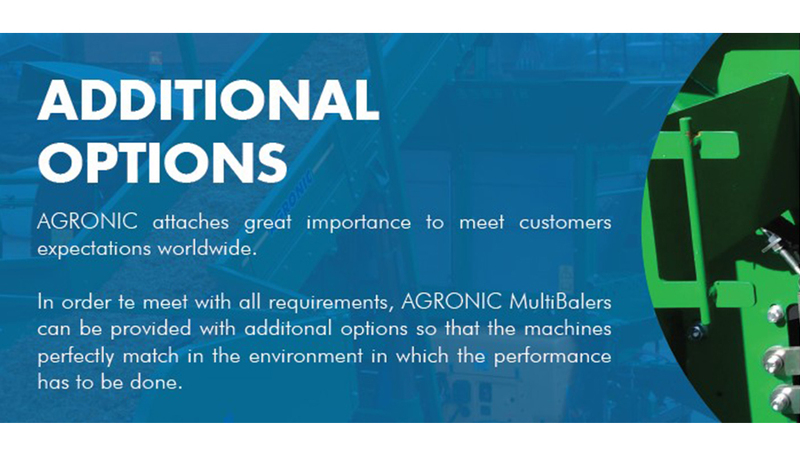 Mostly available balers in Pakistan market are able to make only 300kg+ bales while not every farmer and enterprise is able to invest this much into big baler. 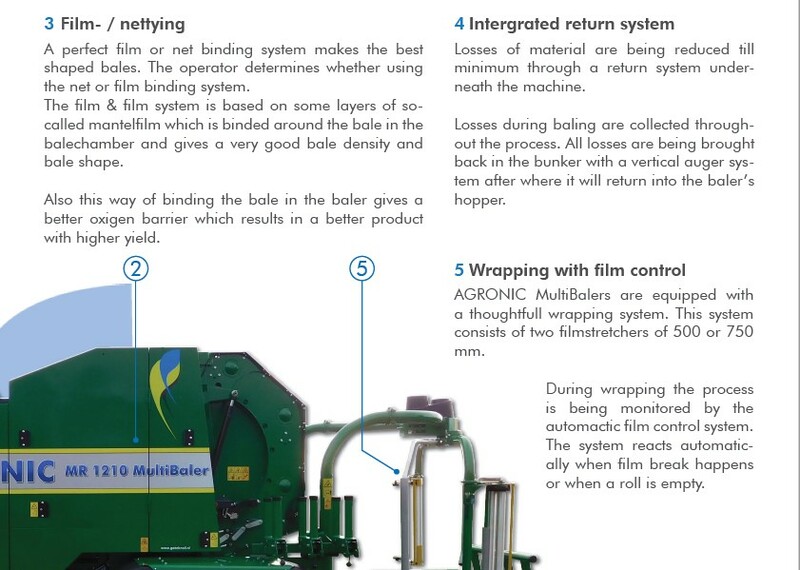 This machine can produce silage bales between 50-80 kg and bale density which is very important factor for baler is much better than other small balers coming from China with 525-725 kg/m3. 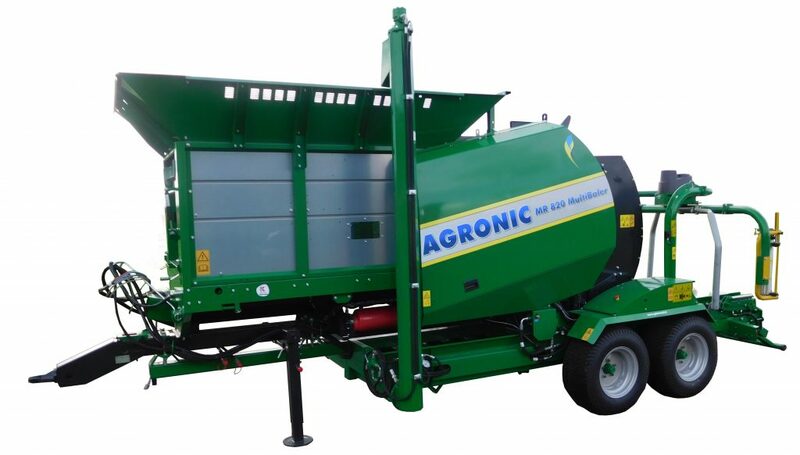 3) Easy operating, high baling density, compact machine structure, nice appearance, strong and durable, less vibration, low power consumption, simple maintenance, low labor cost. 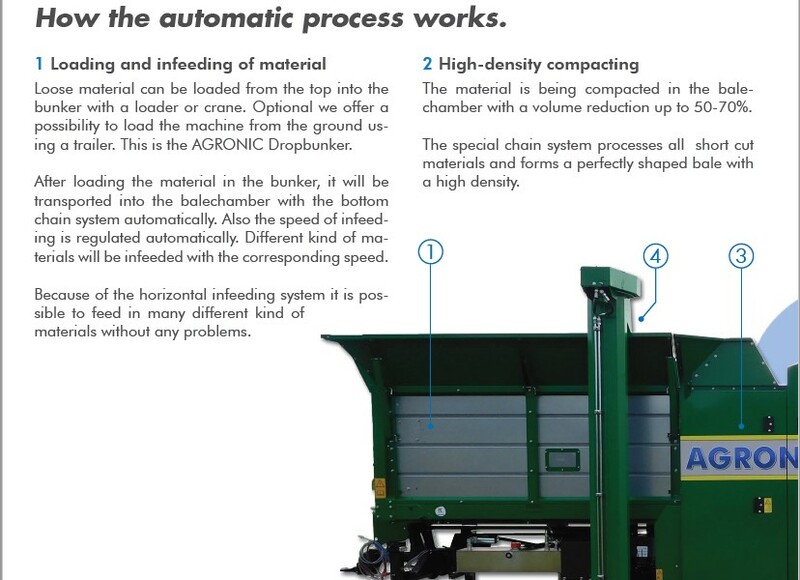 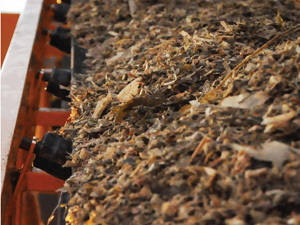 This baler can produce 50-70 bales per hour. 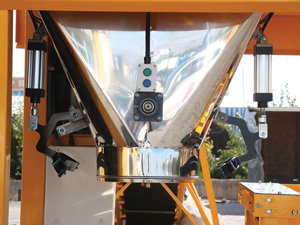 it is fully automatic baler and wrapper. 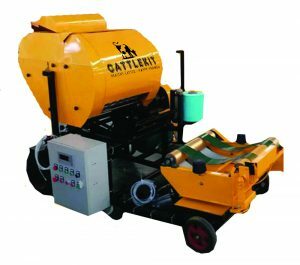 Cattlekit provide one of the best quality of balers plus with delivery, training of users, warranty and parts availability.